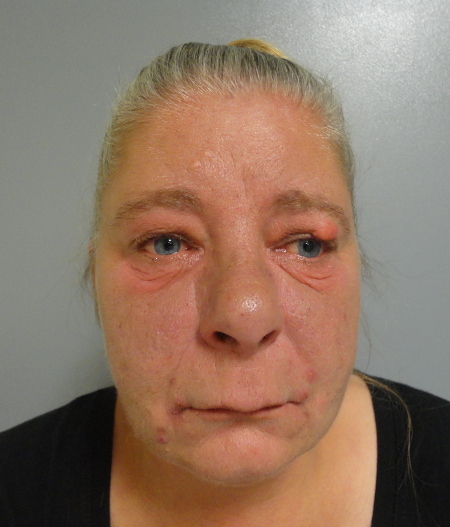 Theresa Hebert, 46, of Oakland, was charged with operating under the influence of alcohol after her vehicle hit the rear of a passing car on Elm Street in Waterville Saturday afternoon. WATERVILLE — An Oakland woman was arrested and charged with operating under the influence this afternoon after a two-car accident on Elm Street, according to Waterville police. Theresa Hebert, 46, was charged with operating under the influence of alcohol after her vehicle hit the rear of a passing car while she was turning into a parking lot, according to Sgt. Brian Gardiner. Hebert took a breathalyzer test at the scene and blew a 0.31. The legal driving limit is 0.08. “She was found to be very under the influence,” Gardiner said. No one was injured in the accident. Hebert’s license was suspended at the time of the accident because of prior OUI convictions. Hebert was being held late this afternoon at the Waterville police station for processing.